We have helped many in the Woodinville area their properties into the landscape they have always wanted. Saving your property and the environment. Single-family residential homes make up more than half of the urban forest in Kirkland, WA. We understand trees better than anybody, and we believe in putting forth the effort to always help them grow and thrive in the urban forest. Whether you have trees overhanging your home, your neighbor's house, or utility lines, tree removal can be potentially dangerous. That is why it is vital for you to choose a experienced and reliable team with the knowledge and understanding of safe tree removal in all "high-risk" situations. Before deciding to remove a tree, ask our Woodinville-based tree care professionals to give your site plan a tree evaluation. Local laws and ordinances apply. Our arborists are trained to work with a variety of trees to keep them healthy and beautiful. Regular pruning and trimming are essential for the health and natural beauty of your trees. Crown cleaning a tree’s canopy consists of pruning dead and diseased limbs, excess branches and crossing or rubbing limbs out of the crown of a tree. An arborist can determine which branches need to be trimmed. One of the most common and natural techniques in tree pruning is pruning the deadwood out of a tree’s canopy. Pruning out dead and diseased limbs promotes the health and longevity of the tree. Diseased limbs should be removed so they do not adversely affect the tree’s healthy branch structure. Additionally, dead wood should be removed for safety reasons and to prevent harm to your family members, property, and animals. Thinning the interior crossing or rubbing limbs and sucker growth is a common and acceptable practice in the care of a tree. Thinning can help reduce wind resistance, thus reducing the likelihood of your tree blowing over during a serious wind storm. Elevating the lower limbs of a tree is necessary at times when limbs are encroaching on a structure, hanging low over a sidewalk or road, or hanging low over grass and other plants. Elevating the tree’s lowest limbs increases the clearance from the ground to the lowest foliage and allows greater room underneath. Our expert tree trimmers have years of experience properly handling this process so that the tree is balanced after pruning in this manner. Tree shaping is a pruning method performed utilizing pole clips or shears and involves trimming the entire canopy all the way around the circumference to form a nice round shape. 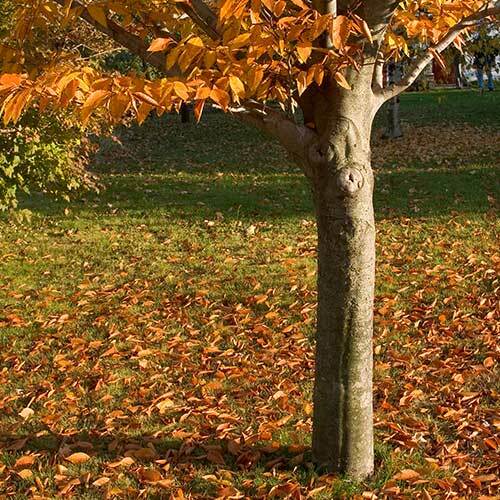 This is often completed on smaller sized trees, including Little Leaf Linden, Bradford Pear, Holly, and similar trees. This type of pruning will require regular maintenance. An Aadams Tree & Landscaping arborist can recommend a program for scheduled pruning to maintain the tree’s shape. Clearing tree limbs away from your home or structure is a very common task, especially if you’re noticing noise from branches rubbing against the home. When clearing limbs from the area of a structure, our tree experts determine the proper amount of footage to clear while considering the safety of the structure and the health and structural integrity of the tree itself. Crown reduction is a method of reducing a tree’s height and width by a certain percentage or footage. Topping is not a recommended pruning method unless required because of safety concerns or due to the health of the tree in certain circumstance. Crown reduction is typically performed on a tree that is susceptible to storm damage, leaning toward a structure, or has outgrown the area it was planted in. Aadams Tree & Landscaping’s skilled team can grind a stump down and remove the nuisance from your property, at the time of tree removal or at a later date, depending on your preference. We have a variety of equipment that can help us rid you of even the most difficult stumps, including large stumps, stumps located on a steep slope, or stumps wedged in a narrow location. We can handle disposal of the stump for an additional charge, or, if you’d prefer, we can process it and leave it for you as wood chips. 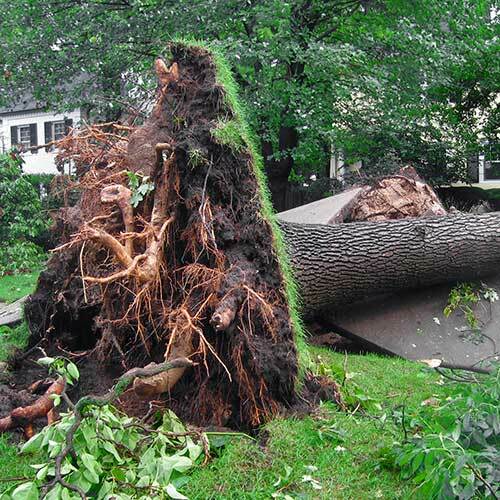 Aadams Tree & Landscaping has skilled crews ready 24 hours a day for any emergency tree needs. We specialize in assisting countless homeowners and municipal customers during an emergency and hazardous conditions. Our tree care professionals and crane operators have years of experience working in dangerous conditions and can remove a fallen tree without further damaging your property. Living and working near Seattle’s “convergence zone” has given us unique experience providing emergency tree service in Seattle and throughout the surrounding areas during or immediately following extreme rain, windstorms, ice storms, or snowy conditions. We know how useful and important firewood is for so many people. That is why we offer convenient, cost-effective options. Our firewood comes from trees we cut down, thereby reducing waste and environmental impact. This recycling program benefits local families as well as our local environment! Firewood in Woodinville can be picked up or can be delivered to your home for an additional fee. Call us at 425-844-9923 for more information about local delivery. We are all about making your life easier. Ask us anything! Rates vary depending on how much snow has accumulated and what type of equipment and supplies are needed. Our typical rate is $200 per hour with a two-hour minimum for most customers. Each individual city may have different permit requirements for tree services. Contact our team for more information about specific requirements in your city. Please submit any other question you may have. Backed by over 35 years of experience and satisfaction, our skilled team has continued to amaze customers in Woodinville, Kirkland, Bellevue, and throughout the entire Seattle area.